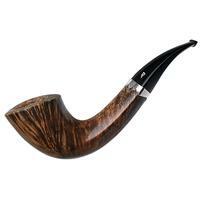 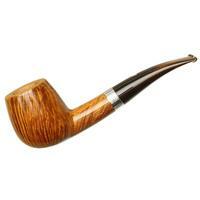 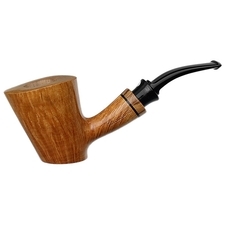 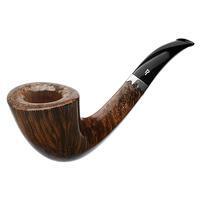 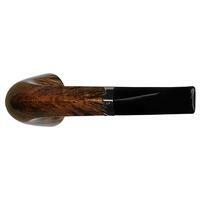 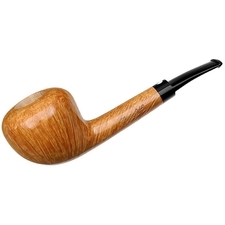 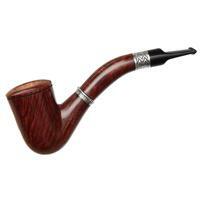 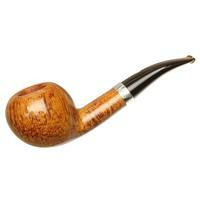 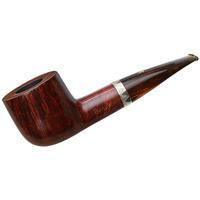 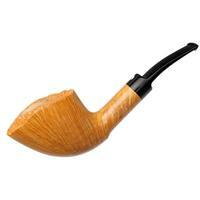 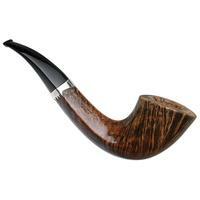 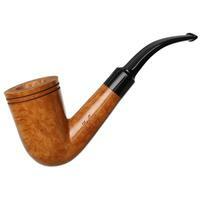 A sweeping bent Dublin from the Rinaldo brothers, this piece displays quite the swooping S-curve, with a gentle transition and slightly flaring bowl. 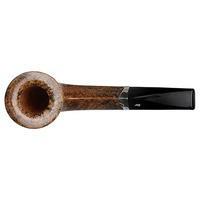 The silhouette's smooth lines are contrasted, then, by the diamond shank's crisp panels as the flanking ridgelines terminate suddenly just before the bowl. 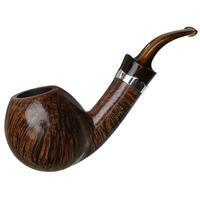 Elio and Guido have done well to dress it in a smoky, walnut contrast stain, allowing the pointed, sterling silver accent to really stand out.